The Elder Scrolls Online is an upcoming Massively Multiplayer Online Role Playing Game, to be released in Spring 2014. As of July 2013 the third wave of closed beta invites were sent out. 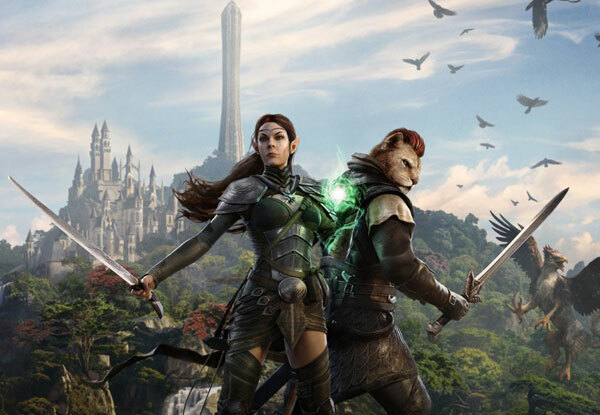 Being developed by the ZeniMax Online Studios, The Elder Scrolls Online will be the first Massivly Multiplayer Online Game in the Elder Scrolls series. 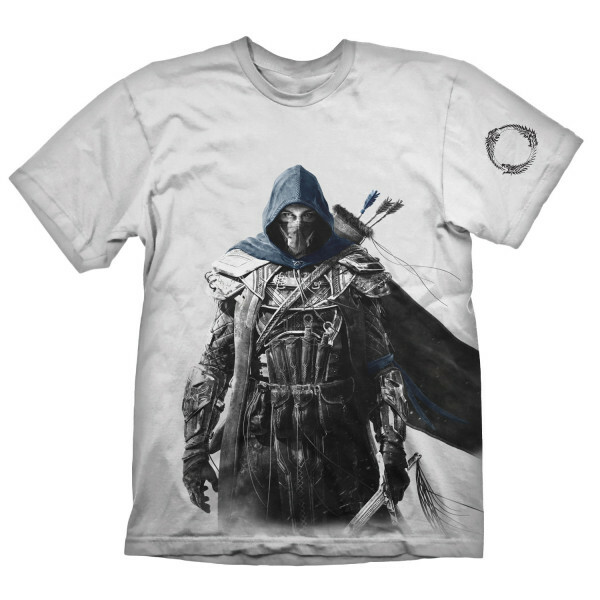 This premium T-Shirt shows a tribesman of the Bretons, inhabitants of the province High Rock which is setting of The Elder Scrolls II: Daggerfall. High quality, 100% pre-shrunk cotton for a long lasting fit, even after being washed several times. All Artworks are original designs and printed in a very durable silk screen procedure. Each T-Shirt is packaged in an eye-catching blister packaging for easy presentation on blister walls or shelves. The packaging is also available in different heights and can hold a DVD case as well, making it a good choice for bundles.